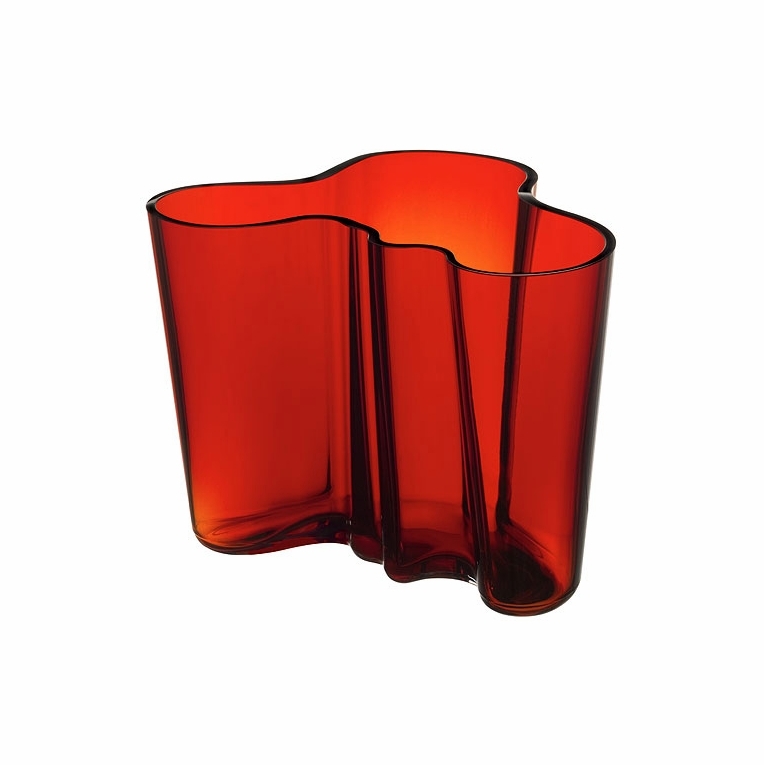 Home > Iittala Aalto Flaming Red Vase - 6-1/4"
Iittala Aalto Flaming Red Vase - 6-1/4"
Introduce a functional and innovative piece of art into your home. The Alvar Aalto vase has been a sensation since its inception in 1937 and now you can enjoy its simple and elegant beauty. Believed to mimic the wave-like pattern of the Finnish coastline, this organic shape has become iconic. The effect is achieved through the original mouth-blown process by Finland�s most achieved glassblowers. This fiery red commands attention and emphasizes the graceful form. Reviews of Iittala Aalto Flaming Red Vase - 6-1/4"
Questions & Answers for Iittala Aalto Flaming Red Vase - 6-1/4"